UPPSALA UNIVERSITY—In a new study published in the Proceedings of the National Academy of Sciences, an international research team, led from Uppsala University, discovered kin relationships among Stone Age individuals buried in megalithic tombs on Ireland and in Sweden. 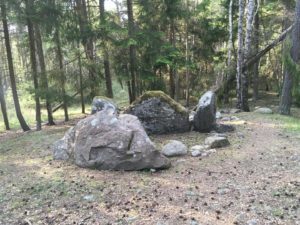 The kin relations can be traced for more than ten generations and suggests that megaliths were graves for kindred groups in Stone Age northwestern Europe. Agriculture spread with migrants from the Fertile Crescent into Europe around 9,000 BCE, reaching northwestern Europe by 4,000 BCE. 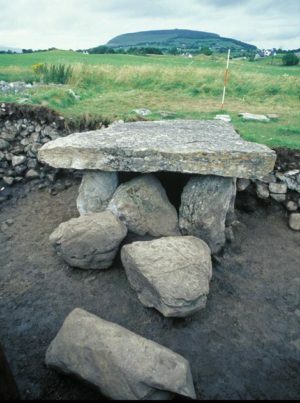 Starting around 4,500 BCE, a new phenomenon of constructing megalithic monuments, particularly for funerary practices, emerged along the Atlantic façade. These constructions have been enigmatic to the scientific community, and the origin and social structure of the groups that erected them has remained largely unknown. The international team sequenced and analyzed the genomes from the human remains of 24 individuals from five megalithic burial sites, encompassing the widespread tradition of megalithic construction in northern and western Europe.